I went back to my favorite subject, still life. I had several of these objects in the studio. The wood shoe, glass insulator and small black jar were found in antique shops, the birds and scissors were my Mother-in-law’s, and the Hot Wheel truck is my grandson’s. The shadow box and other items were from my imiganation. 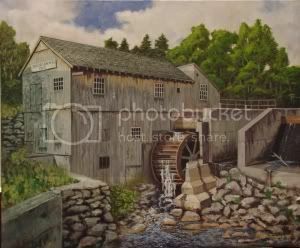 A fun painting to do with all the different surfaces and textures to paint. I attended the ninth annual Native American Pow-wow in Haverhill, MA on September 11, 2010 and got some great photos. 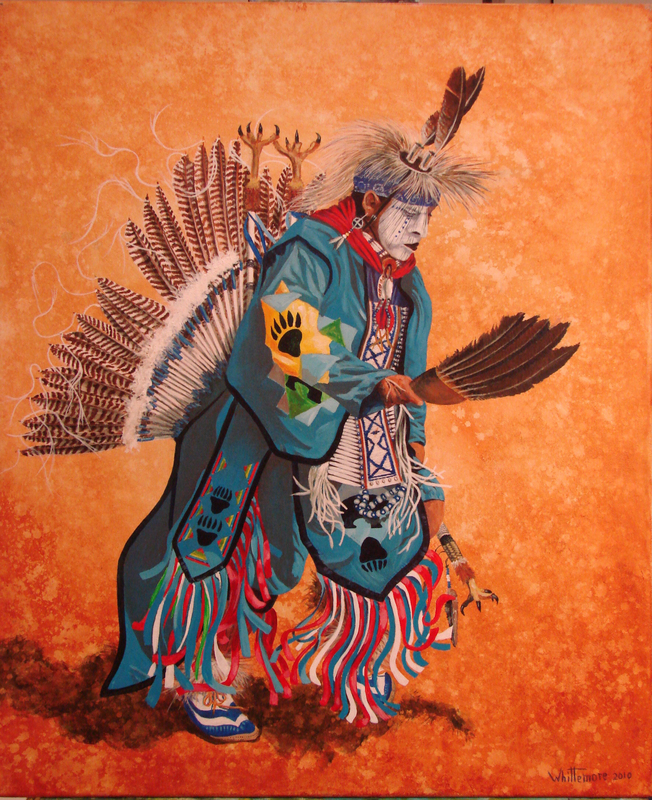 This is a painting of Native American Head Dancer Don Barnaby. There were several other dancers that I hope to paint in the future. 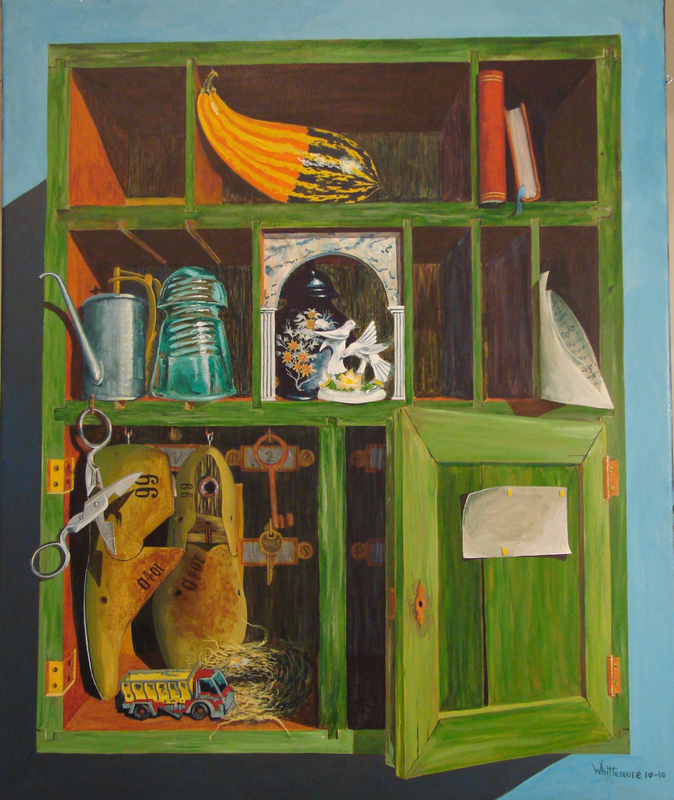 This entry was posted in Paintings and tagged acrylic paint, Still life. Bookmark the permalink.